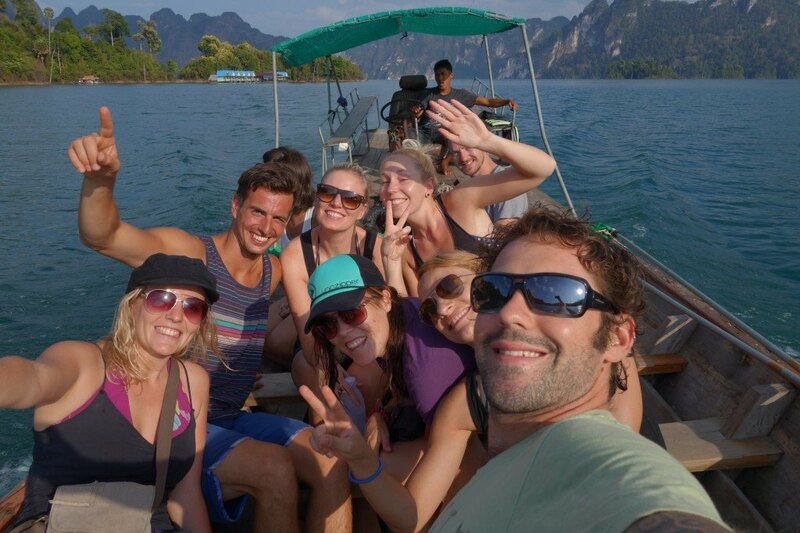 Our floating accommodation in Cheow Lan lake, Khao Sok. I never thought it would happen, but after relaxing on some of the most beautiful islands and beaches in Southern Thailand for 3 weeks, we started to long for change. Sometimes too much of a good thing can grow tiresome. 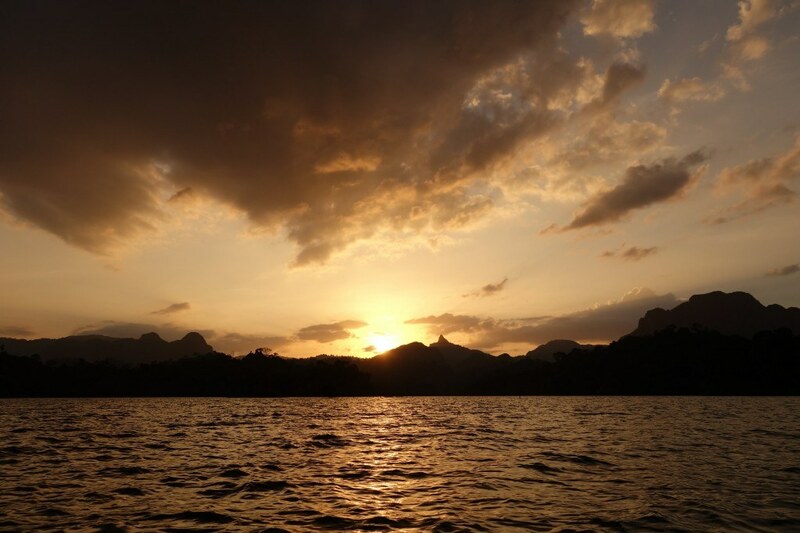 With more white sand and clear waters in our immediate future, we decided to mix the scenery up and headed for Khao Sok National Park. We dreamt of dense jungle, long hikes and a cacophony of sounds from the native wildlife. Upon arriving in the national park, and checking into our accommodation at Smiley’s Bungalows, we felt a wave of relief as the notion of our dreams coming true seemed to eventuate. Surrounded by intense limestone cliff formations and a multitude of evergreen trees, we were satisfied. 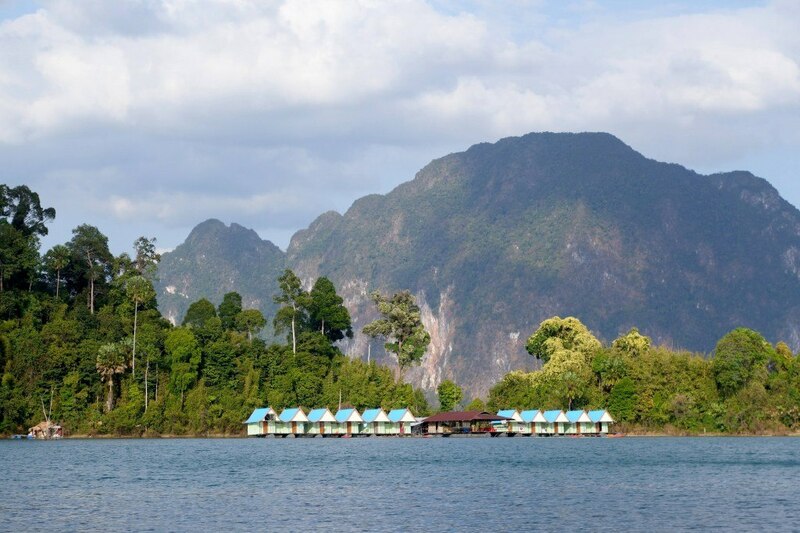 Khao Sok’s most famous drawcard is the magnificent Cheow Lan lake, which was formed when a hydro-electric dam was installed flooding the landscape behind it. After an exhausting but rewarding 16km hike we contemplated whether it was worth adding on a few extra days, and cutting into our budget, to visit the lake. After asking around and considering doing a trip to the lake independently, we decided to just take the easy route and book an organised tour. The night before we left we met some guys who had rented scooters and drove out to the lake to try and book a floating raft house themselves to keep the costs down. Turns out because they hadn’t booked the accommodation through the government website the total cost, including transportation, was going to be a lot more than just doing the tour. And that didn’t include food! Suddenly the 2500 baht ($80) was looking quite cheap. We sure were happy we made the choice we did. There are a whole bunch of companies that can help do these organised trips, not just Smiley’s. Before we had even left Smiley’s we met our group who would be accompanying us for the 2 day, 1 night excursion. They were a young, international bunch of exuberant travellers who oozed enthusiasm and zest for life. We knew it was going to be a fun couple of days! The one hour pick-up ride was filled with laughter and hilarity (and at one point, worried sadness as our speeding driver hit a stray dog. It walked away, so hopefully it was ok). The next part of the journey involved a one hour longtail ride to the accommodation. The chatter halted during this trip as the scenery took our breath away. 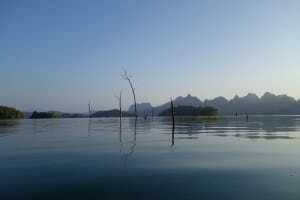 In every direction exceptional rock formations reached skyward, dense islands jutted from the surface of the lake and the occasional deceased tree stood in lonesome positions, left standing on high points from when the river was dammed. We arrived at the floating lake house and were greeted with a delicious cooked lunch and an afternoon of kayaking, bamboo walking and swimming. As evening approached we took off on the boat in search of the local fauna. Our group enjoyed the playful games of monkeys as they leaped from tree to tree and admired the stunning landscape. As we headed towards our lake bungalows the combination of the impressive topography, unusual clouds and the setting sun provided one of the most majestic views we have ever witnessed to end the day. 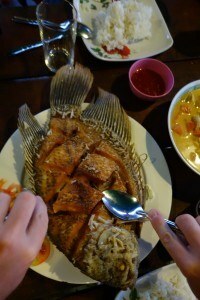 Our dinner of fresh fish and traditional Thai food was superb. With our hunger satisfied, and the mood happy, our group of new friends cracked open more than a few Chang beers and eased into the night. Good music and great conversation made the hours fly by almost as fast as the multitude of shooting stars that zoomed through the clear skies. Late-night kayaking and stand-up paddle boarding (au natural!) out into the lake allowed for even better star-gazing. The Milky Way was so striking in the night sky that we all felt humbled to be able to appreciate the universe so far away from civilisation. Longtails parked on the lake. The sunrise from our kayak. 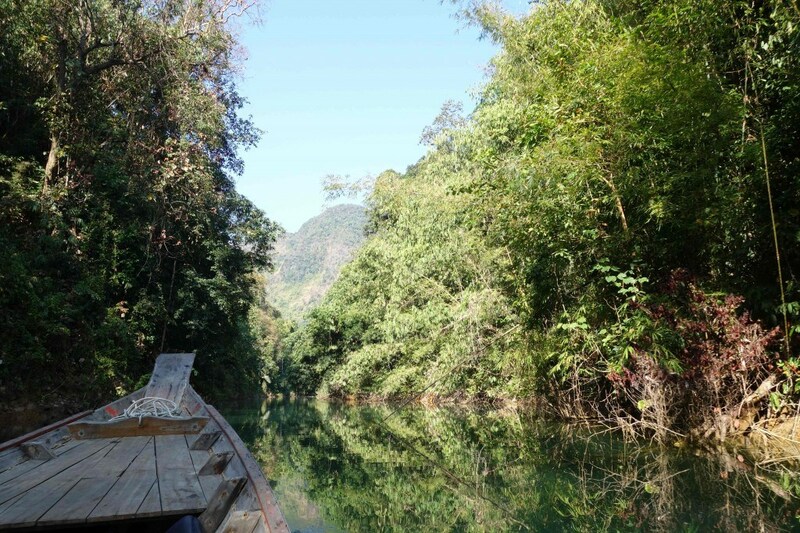 Floating through the Khao Sok jungle. 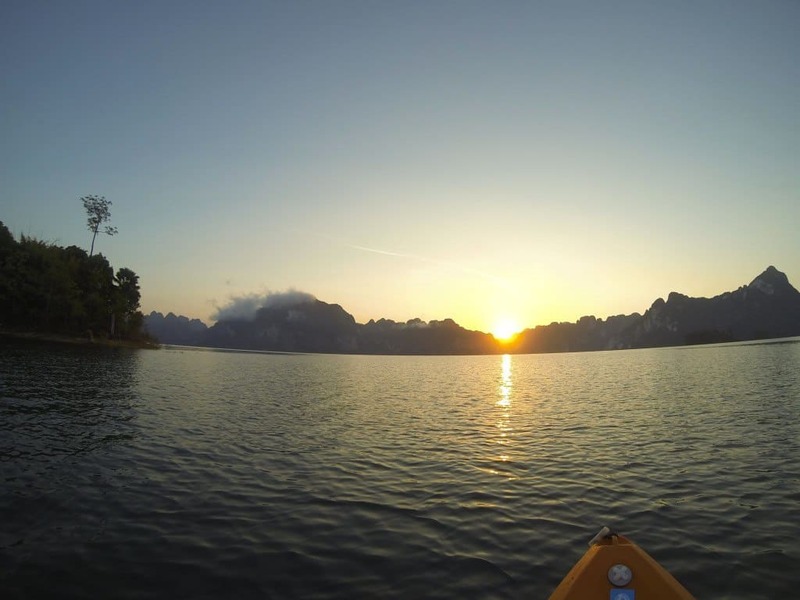 We rose before the sun and made use of the free kayaks and paddled out, coffees in hand, to watch the dawn of a new day. Afterwards, with breakfast served to fuel us for the next activities, we took off to a far-flung corner of the lake to begin a jungle hike to a large cave. The hike wasn’t strenuous, but none-the-less beautiful. At the beginning of the 800m long cave, we all stripped down to our swimwear, threw on some headlamps and entered. 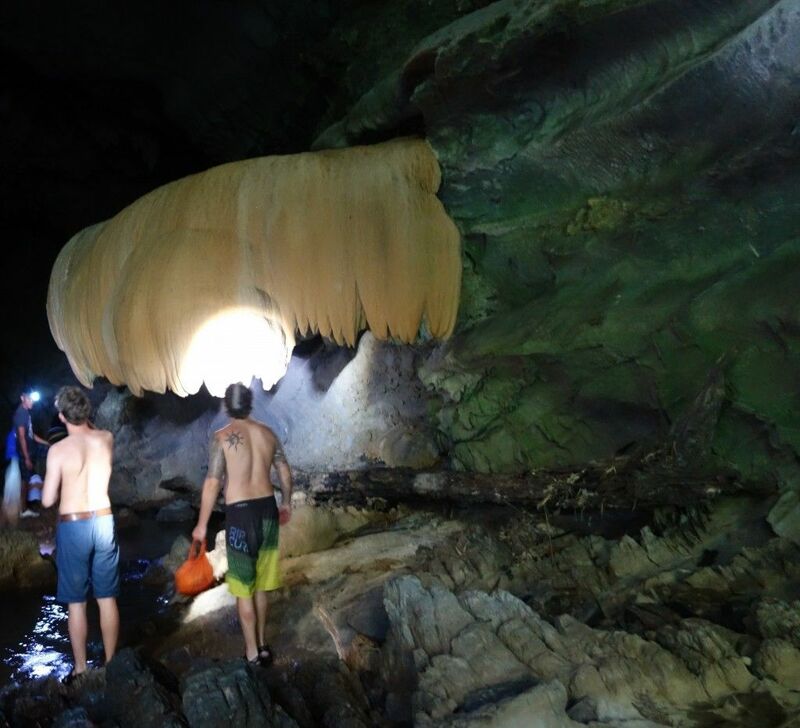 Stalactites, stalagmites, crystallised limestone and hundreds of bats and large spiders welcomed us to the underground chamber. A river flowed through the cave and at times the depth reached our necks. Slippery stones, sharp, jagged, head-height rocks and claustrophobic passageways added to the sense of adventure as we slowly made our way back to daylight. The atmosphere remained light-hearted as we sang songs and made jokes the entire way through. Jazza transferring his slacklining skills to bamboo. With lunchtime approaching, we headed back to our floating rooms to fill our stomachs before finally leaving the awe-inspiring location. Another hour of bamboo walking and swimming to exhaust the last remnants of energy we had left took us to the end of our tour. We said our goodbyes to the friendly staff, and started our journey back to the accommodation in Khao Sok. The tour itself was amazing, and we are definitely glad we bit the bullet and dug into our wallets for the tour. But one thing the brochure couldn’t promise was the excellent gathering of new best friends who we were fortunate enough to be grouped together with. For the entire two days the laughter never stopped. The songs we sang and the experiences we shared both entertained and bonded us. As I reflect on gazing out into the depths of the galaxies that night, I can’t help but feel the stars were aligned for us in the most positive way possible. No matter how astounding the excursion is, it is always better to be able to share it with incredible people. You must appreciate it for all its worth, because that’s something money can’t buy. Our new friends enjoying the longtail ride. All smiles out on the lake. An interesting formation inside the cave. 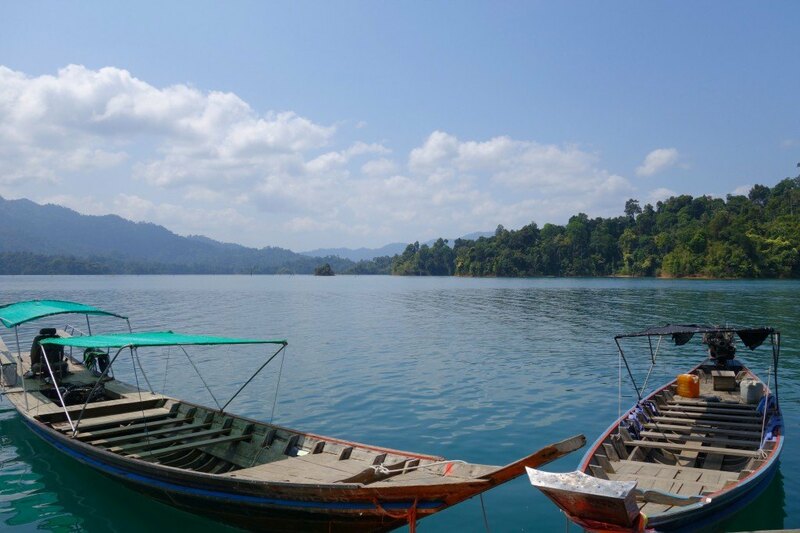 I just visited Khao Sok, as well! It was by far one of my favorite places in Thailand. I completely agree that it is worth the extra money to do a tour…I actually wrote a whole blog post about it haha but it does seem like you had a more lively group than I did. 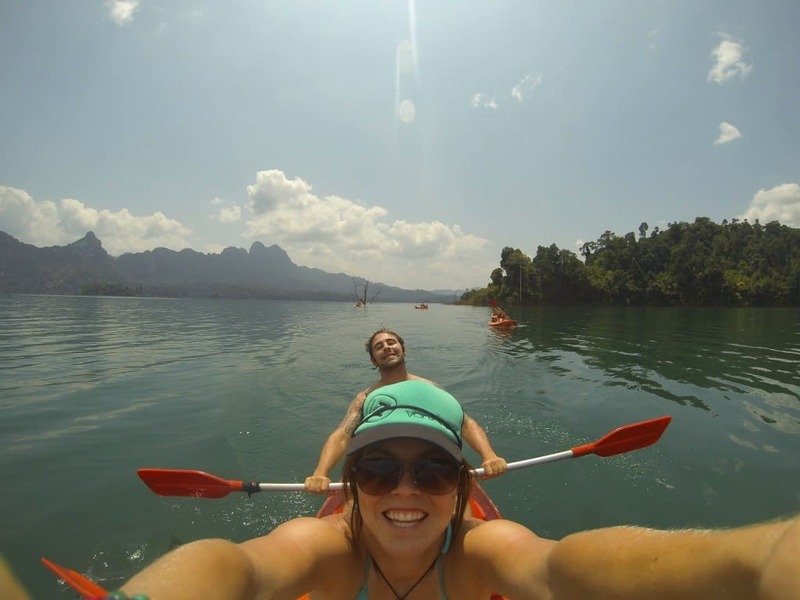 So glad you enjoyed Khao Sok as much as I did!